Though she may small, what Romina Martinez lacks in stature, she more than makes up for in natural ability. On Oct. 22, she proved she has a knack for prose. 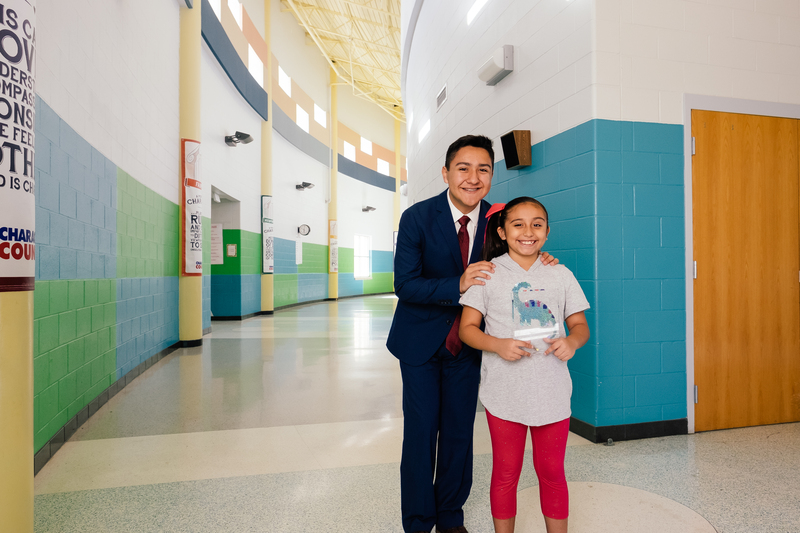 The third-grader from Lee Means Elementary Fine Arts Academy was named finalist and took first place in the Novice Prose category at Harlingen High School South’s Speech Drama Debate Sombrero Classic Tournament. Romina surpassed 114 middle-school and high-school competitors in the category with her rendition of a dramatic piece entitled “Missing Natalie” by Nicole Blackman. To help Romina prepare for her performance Joseph Decilos, her coach, had her draw on her relationship with her sister. Romina applied the acting techniques she learned during practice and was able to make herself cry on cue during her dramatic portrayal. Stealing the show, she became the youngest champion to be crowned at the Classic tournament. Also making waves at the tournament was Juliana Garcia, a fifth-grade student from Lee Means, who broke to semi-finals in Novice Poetry making her top 25 out of 90 students. Romina and Juliana were two of nine competitors to represent the Fine Arts Academy at the tournament.